After homes of terrorists responsible for deadly Tel Aviv shooting attack are rebuilt, IDF prepares to demolish them a second time. Israeli security forces are preparing to demolish the homes of terrorists involved in a deadly Tel Aviv shooting attack – two years after the buildings were leveled. In August 2016, IDF forces demolished the homes of Khalid and Mahmoud Mehamara, two cousins from the Palestinian Authority-controlled town of Yatta south of Hevron. In June, the two terrorists opened fire in the Sarona Market in Tel Aviv, killing four and wounding six. 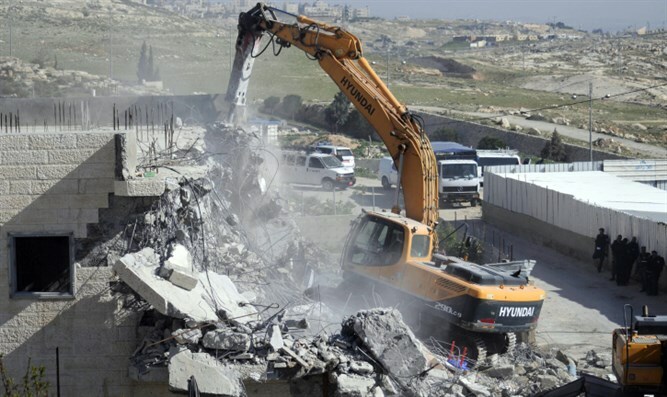 Since then, however, the homes have been rebuilt, prompting Defense Ministry officials to begin proceedings for a second round of demolitions. According to an IDF spokesperson on Wednesday, soldiers surveyed the newly-built homes to prepare for the new demolitions. The homes were built without authorization, the IDF spokesperson emphasized, noting the standing order to demolish the terrorists’ homes.